You can stop searching for reliable washing machine repair in Houston, Texas. 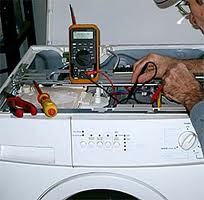 Our company hires skilled techs to install or repair all washer brands. You name the make or model and we’ll send a pro to service it. Front load or top load, it doesn’t matter. The techs we use carry quality parts for both of them. Take advantage of our same day repair service. Call and schedule installation service at your convenience. You will find our friendly staff to be flexible and helpful. Great washer service in Houston is a simple phone call away. Give us a call today. We understand that most people lack the knowledge to install washers. That’s why you need to call us for dependable washer installation service. We’ll have an experienced technician report to your home at the scheduled time. They will quickly and carefully maneuver your washing machine into place. The water hoses will be properly connected. The appliance cord will be connected to the power supply. In the event the cord and receptacle are not compatible, the issue will be resolved. You will really like the washing machine technician we send to your home. Washer repair is our first priority. 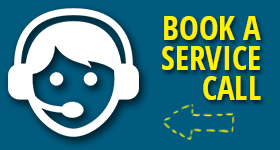 We’ll send an expert to administer quick and accurate service with a smile. Fixing washers properly requires skill and experience. We use trained techs to provide this service. Each is certified to address all kinds of problems. Every technician has honed their troubleshooting skills over the years. They know how to find problems fast. Most of the time, the problem is a bad switch, agitator, gasket or seal. The tech carries parts for all problems. This allows for fast and effective washing machine repair service. You can’t go wrong when you call our company for help. Okay. You know we recruit techs that can repair a washing machine. You also know that your new washer can be installed. That is only the beginning of outstanding customer service. The pros we use are friendly, helpful, and passionate about serving you. Appliance Repair Experts Houston is the place to turn to for service above and beyond. Quality results have a way of providing peace of mind. Find the peace of mind you are looking for. Get in touch with us to get superb Houston washing machine repair or installation.